Create a Slack poll to get feedback from your team on their motivation, progress, or where to have lunch. It can be a one-time poll or a recurring process if you need project management automation. 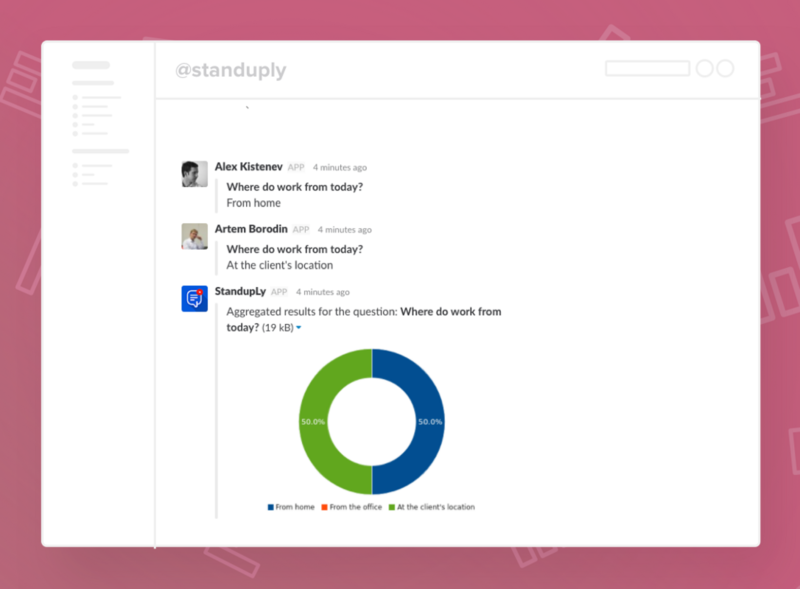 See how Standuply Slack App can help you with all of that. When you need to start a poll inside Slack with members of any channel the best way is to use /poll command. 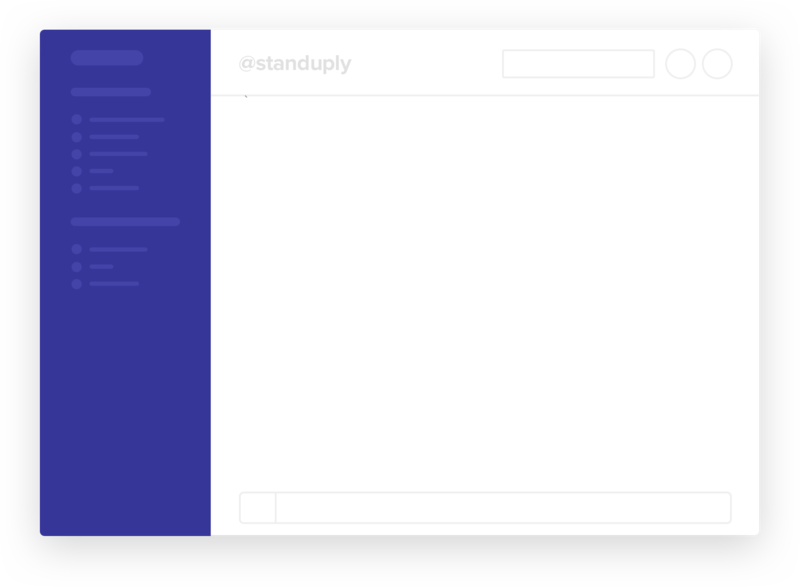 It's available to anyone on your team once you've added Standuply bot to your Slack. Use /poll command in a Slack channel where you want to run a poll. All channel members will see the poll and can participate. Results are updated in the real time after every vote. 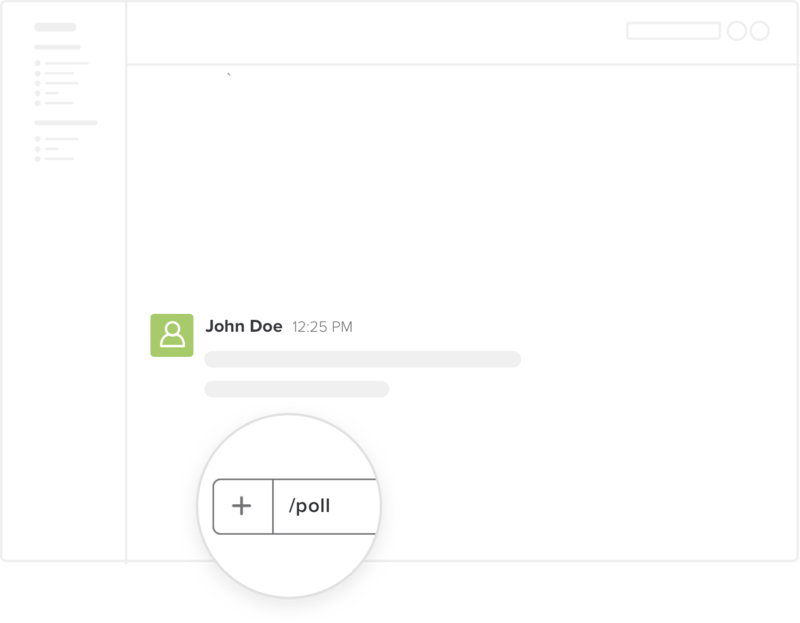 Recurring polls and surveys via Slack are useful when you need to automate communication processes on your team, like standup meetings, motivation check-up, 360 feedback review, etc. 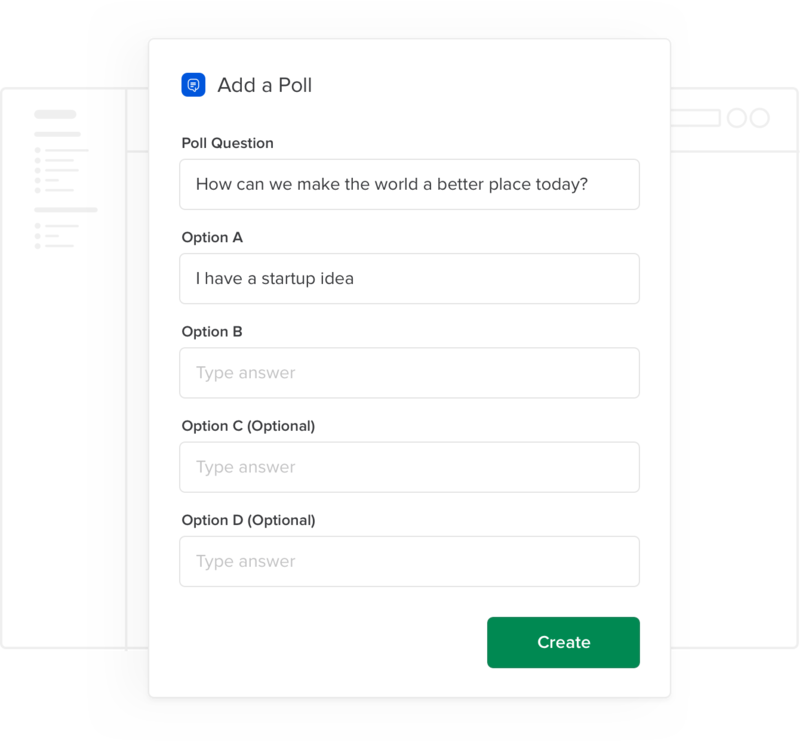 To create a recurring survey login to your account in Standuply. There you configure all the options: schedule, questions, participants, and more. If needed, results can be posted anonymously. 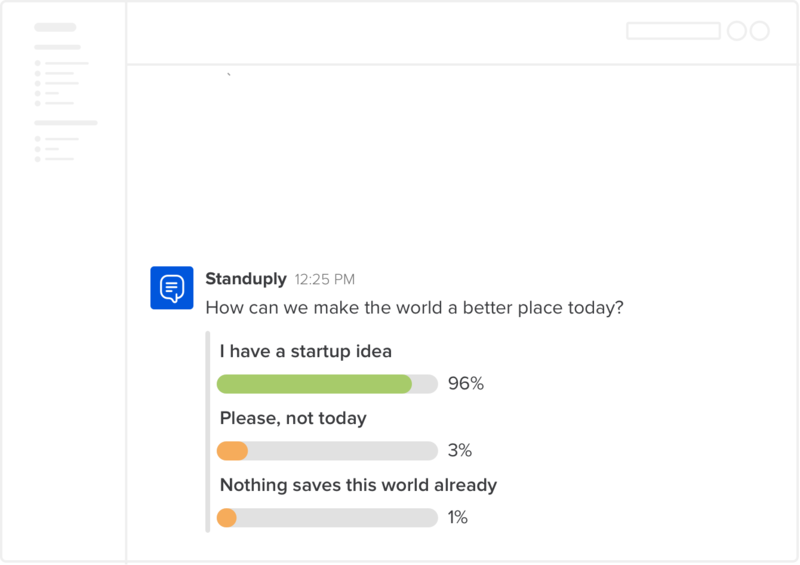 On schedule, Standuply reaches out to selected people and surveys them in Slack. Once team members provide their inputs the bot aggregates them to serve overall report with survey's results. 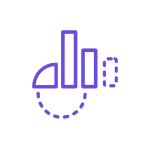 Results can be delivered to a Slack channel or via DM, email or Webhook. You can even add responses to your Trello cards. If you don't use Slack bots or would like to make a poll in a different fashion, here's the way to do that. 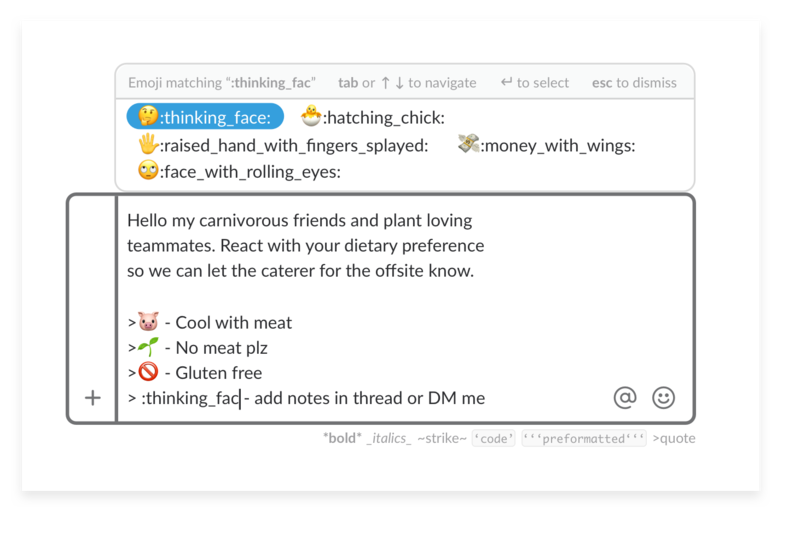 You can run a poll using Slack emojis. Compose a message that asks for answers and offers several options. Use Slack message formatting to make sure the variants to choose from are clear. See results in real time. Moreover you'll see all participants when hoovering a mouse under each emoji. Ask people to provide their answers using emoji reactions. To make it easier for others to just tap to vote on each emoji. 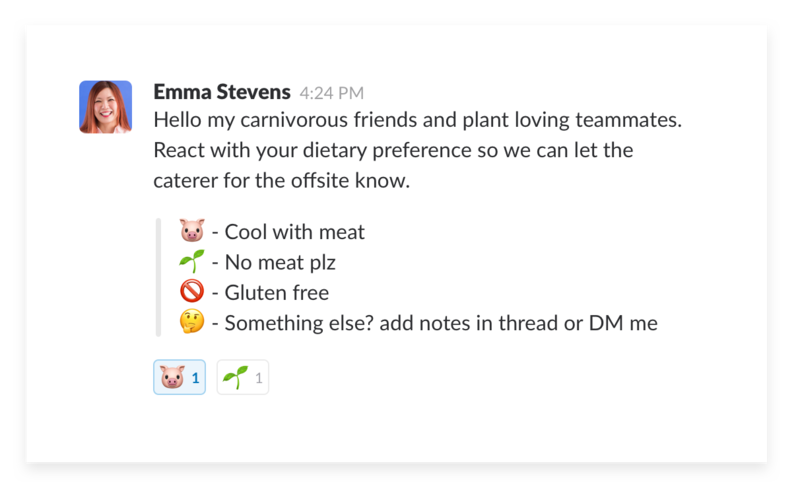 Running polls on Slack is a better way to get feedback from your team compared to email. Our email inboxes are flooded with messages while a Slack notification always attracts attention. 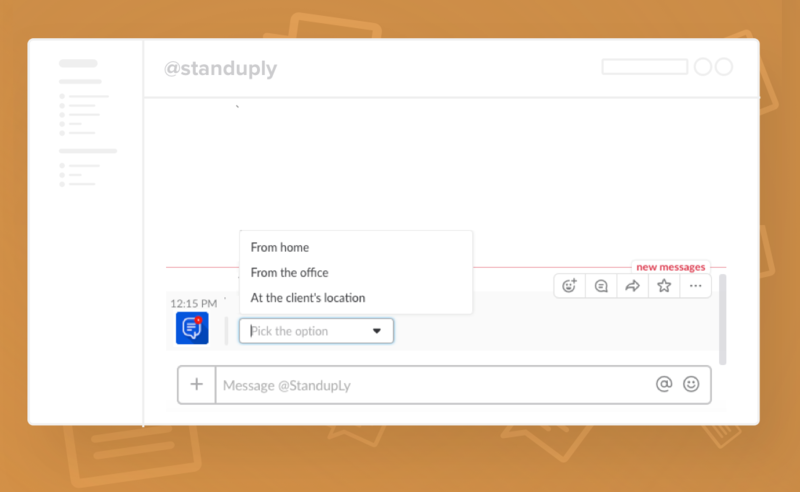 Standuply is a Digital Assistant for Remote teams. 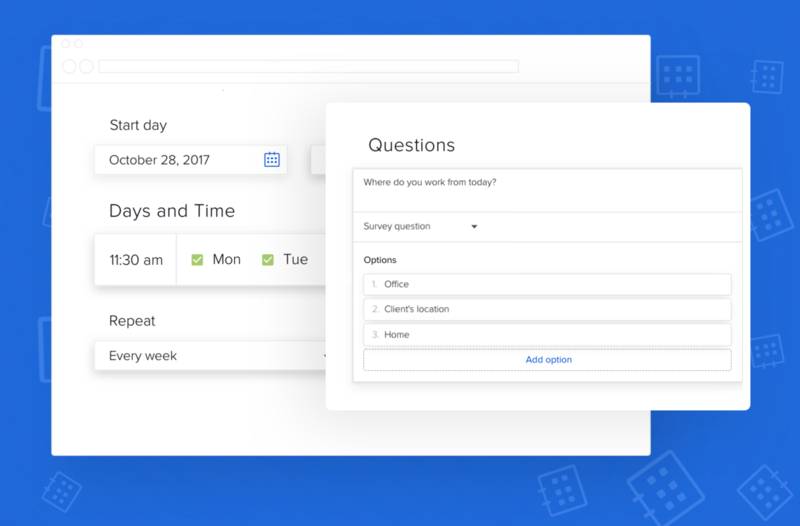 It automates standup meetings, retrospectives, task estimations and more.